FREE opportunity for CSTA conference registration-only 100 seats available! Scholarships will be awardedon a first-come, first-served basisto those who submit an application by March 15, 2019, at 11:59 p.m. EST. Have questions about this scholarship opportunity? Emailscholarships@csteachers.org. We look forward to seeing you at CSTA 2019! 3 Days Left to Apply for $10,000 for Maker Education! 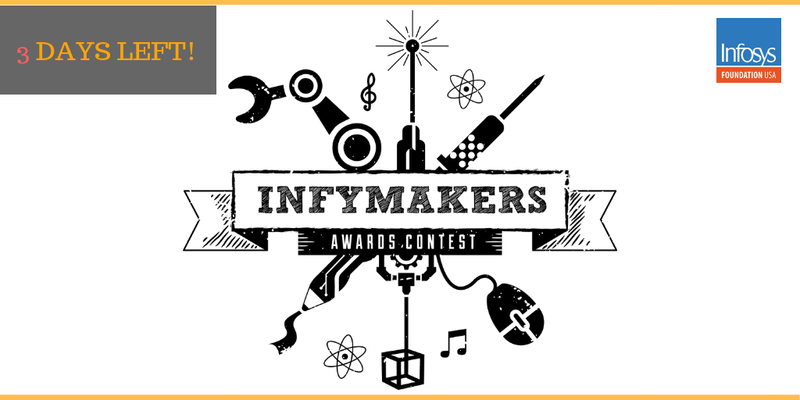 Infy Maker Awards, a competition hosted by Infosys Foundation USA is open to K-12 schools and youth-serving organizations who aim to create more opportunities for students to engage in hands-on, interdisciplinary learning through making in the U.S. This includes makerspaces, libraries, museums, community centers, colleges and non-profit organizations.Online applications for the competition will close on Feb. 21, 2019 at 11:59 p.m. PST. The contest rules are availablehere. The grant can be used for a variety of purposes including: materials and equipment, structural improvements, additional professional development, projects for students, impact and assessment research or community outreach and engagement.Apply onlinetoday! Infosys Foundation USA is focused on bridging the digital divide in America by supporting high quality computer science education and coding skills with a particular focus on under-represented communities. It aims to give children and young adults the skills they need to become creators, not just consumers, of technology.In pursuit of this mission, the Foundation has partnered with pioneering non-profits and institutions like Code.org, New York Academy of Sciences,DonorsChoose.org, Stanford University, Computer Science Teachers Association and the CREATE Lab at Carnegie Mellon University. In addition, Infosys Foundation USA committed a million dollars to the Infy Maker Awards to inspire Makers across the U.S. to demonstrate creative excellence in Maker projects with genuine impact. Code.org, a national non-profit Computer Science PD provider has started an international movement to teach computer science. Any student—whether they want to become a lawyer, a nurse, or a coder—can benefit from a better understanding of computer science. By taking one of the workshops and incorporating computer science into your classroom, you’ve helped prepare your students to succeed as they pursue their dreams. But most schools still don’t teach it, in large part because their teachers don’t have the training or the resources to do so. If you know a teacher who might be interested in teaching computer science, please let them know that applications are currently open for the 2019 Professional Learning Program for middle and high school teachers. A limited number of scholarships are available this year, so the earlier they apply, the better! In addition, if you do NOT currently teach CS at your high school you can apply for state funding through the ADE by visiting this link. They also welcome elementary school teachers to sign up year-round for a no-cost, high-quality one-day professional development workshops for Computer Science Fundamentals courses from an experienced computer science facilitator. Register today for the ASTA Conference! With the adoption of science standards, the ASTA Annual Conference, Building Toward Phenomenal Science Instruction for All, will begin providing a foundation for implementing these new standards. Where: The Falls Event Center, 4635 E Baseline Rd., Gilbert, AZ 85234. This year's conference will include one day of deep learning into understanding phenomena and its use in 3-dimensional instruction through science discourse. Thursday's focused professional learning day will be facilitated by Lacey Wieser, Jen Gutierrez, and Rebecca Garelli. The morning will include all learners working together with Lacey Wieser while in the afternoon attendees will be grouped by grade level. In addition, Mr. Michael DiSpezio will be the keynote Friday morning with his presentation titled "Learning and the Brain". Mr. DiSpezio is a renaissance educator, speaker, and author. A former marine biologist, Michael completed his graduate studies at the Marine Biological Lab at Woods Hole and worked as a research assistant to a Nobel prize winner. His understanding of natural sciences has resulted in numerous publications and speaking engagements throughout the world on an assortment of scientific topics that range from learning and the brain to re-engineering the 21st century science classroom. 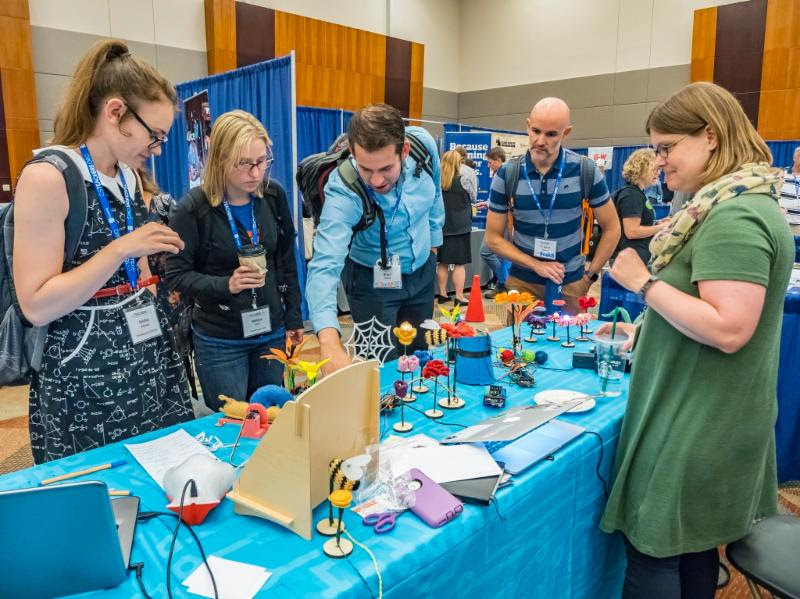 From robots to LEGO molecules to paper circuits and Nobel Prize winning research - don't miss out on these world-class STEMAZing Workshops! Just $25 for a full-day workshop! You get breakfast, lunch, an engaging hands-on, minds-on professional development experience, AND at least $50 worth of equipment and supplies so you can immediately let your students experience the same engaging STEM lessons! Sign up soon before the workshops are full! Meet Edison - Take an Edison robot home with you! NOTE: Must not have taken this class in the past. The Wild Robot by Peter Brown and accessories to go along with their new robot including LEGO compatible building bricks! Kit valued at nearly $100. Click to Learn More and to Register - Limited space! Gravitational Waves - Take an arduino home with you! Looking for ways to make physical science more relevant and interesting to students? 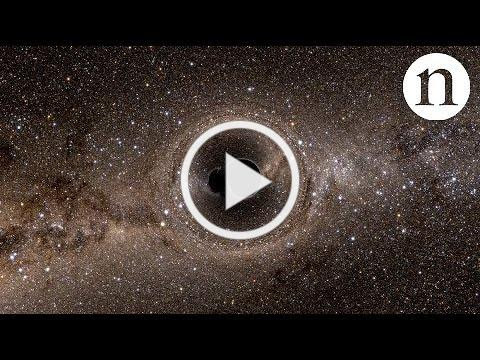 Why not bring concepts related to last year's Nobel Prize in Physics into your classroom? LIGO (Laser Interferometer Gravitational-Wave Observatory) scientists won the Nobel Prize in Physics in 2017. Join facilitator Amber Strunk, former high school physics teacher and current Education and Outreach Coordinator for LIGO-Hanford Observatory, for a day exploring waves, radioactivity, and gravitational fields. Walk away with a kit to bring these concepts to life back in your classroom including an Arduino to model a PET scanner, a space time simulation, and more! Coding & Engineering with Edison - Take another Edison and an EdCreate Kit home with you! Take your Edison use to the next level! If you have already met Edison and you are looking at how to better engage students with the various levels of coding and engineering options, then this is the right follow up workshop. Bring a laptop and ONE Edison robot with you to learn more about EdBlocks and EdScratch coding apps. There will also be a chance to explore coding with Python for those that want to jump to the highest level of coding with Edison. Then, you can engineer with Edison using the EdCreate kit which allows you to build EdTank, EdDigger, EdRoboClaw, EdCrane, and EdPrinter. The STEMAZing Kit (valued at about $80) for this workshop includes a SECOND Edison Robot and an EdCreate kit! Understanding Air and Oceans Using LEGO Molecules - Take a classroom set of LEGO molecules back with you! Learn how to teach abstract concepts, like those talked about in the video above, in concrete ways using LEGOs! Do your students know what air is made of? What percentage is oxygen? What happens chemically when things burn? Understanding Air uses LEGO compatible bricks as atoms to build a model of air and then combust fuel models to produce additional carbon dioxide and pollutants. 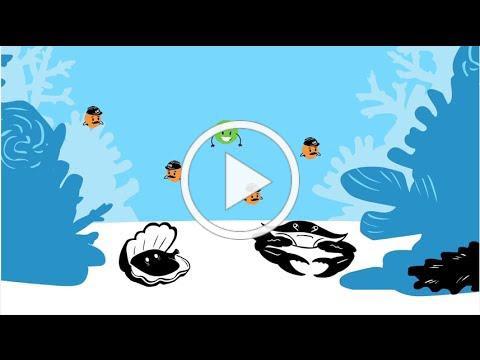 Do your students know what ocean acidification is? How does toxic mercury pollution make its way into our oceans and then into human bodies? Understanding Oceans emphasizes important chemical reactions in the ocean using LEGO compatible bricks for modeling atoms. Electricity, Magnets, and Paper Circuits - Oh, My! - Take everything you need for paper circuits and more back with you! How do we produce electricity? What is the connection between electricity and magnetism? This workshop will focus on how electricity is produced using demonstrations showing Faraday's Law - moving magnetic fields can produce electricity in conductors and moving electrons (electricity) produce magnetic fields. It will also give teachers time to work through a whole series of paper circuits which show how series and parallel circuits work. Some of the circuits also show the nature of science and help teachers engage students using the science practices. There is also a light show circuit which can be used to show the REAL primary colors of light. SPECIAL THANKS to our sponsor and host - Tucson Electric Power! The STEMAZing Project's mission is to positively impact the quality of STEM education for ALL students by empowering PreK to 12th grade educators to experience, share, improve, and implement STEM best practices. Cultivating STEM Minds! The mission of the Pima County School Superintendent's Office is to promote educational excellence through leadership, service, and collaboration. The office provides service programs, support and assistance to educators, parents, other agencies and the community at-large. To learn more visit schools.pima.gov. The experience features an episodic online story game paired with fun, hands-on science activities related to robotics, genetic engineering, and electricity. 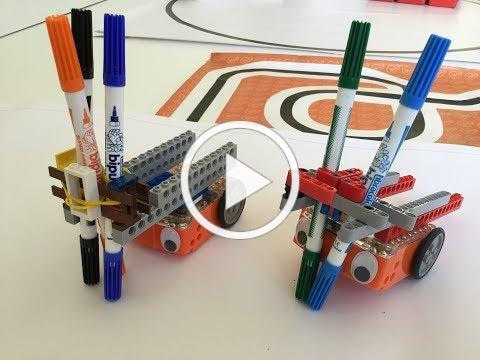 By teaching a robot how to draw, experimenting with simple machines, or even bringing their own "creature” to life, learners can encounter the same questions Mary Shelley experienced when writing her most famous novel, while developing important 21st century skills of their own related to exploration, discovery, and critical thinking. Attached is some additional information about this innovative new project. I’m also happy to answer any questions you might have. The best rates for registration (and lodging) end on September 30th. Don't delay! With discussion of the adoption of science standards on the October 22nd State Board of Education agenda, the conference will begin providing a foundation for your teachers, coaches, and curriculum directors in implementing new standards utilizing the 3-dimensions of instruction. ASTA will be holding their annual statewide professional development conference, Building Toward Phenomenal Science Instruction for All, November 1-2, 2018 at the The Falls Event Center in Gilbert,AZ. The ASTA Conference is highly respected by administrators and leaders due to the professional workshops that are provided during the conference. All PreK – Post Secondary educators, administrators, coaches, and informal educators who are interested in science and/or STEM are encouraged to attend. 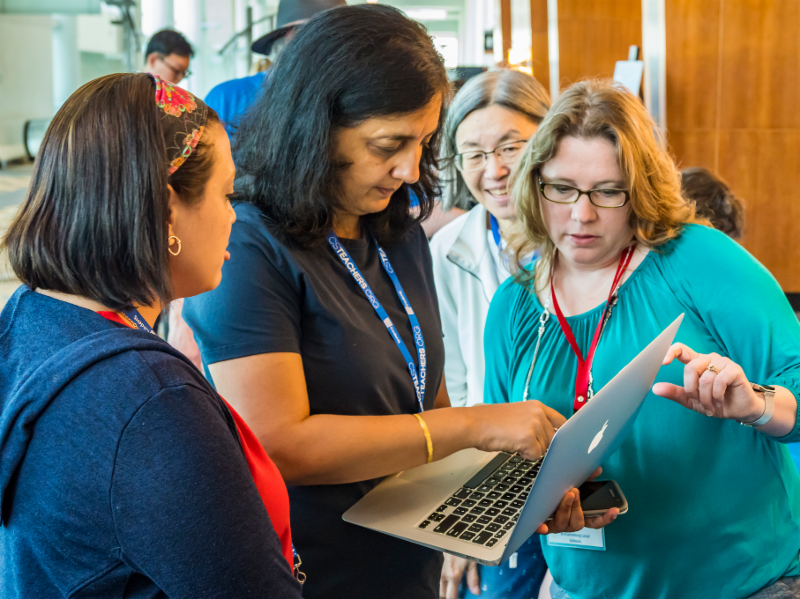 This event allows practitioners to network, learn about the shifts needed in science instruction to support the implementation of new science standards, and share best practices in their field. Inquiry Protocols & Resources: Project Learning Tree ~ Cornell Lab of Ornithology ~ & More! Work side-by-side with scientists and researchers on citizen science projects and field studies on the ACTSPeru Rainforest Canopy Walkway in one of the world’s most biologically diverse environments. Explore conservation and sustainability via hands-on workshops with indigenous communities. Spend a day in an Amazon village and explore the role of education in creating a sustainable future for Amazon children. Work in grade-level cohorts to develop strategies for using the Amazon as a vehicle for incorporating standards-based inquiry, STEM, and sustainability education into your classroom. PLT Certification, BirdSleuth, and other resources included. Academic Credit and Machu Picchu Extension optional. $1250 scholarship deadline February 1, 2019. With a scholarship, Academy Program fees are $1345 (airfare not included). Space is limited to 30 educators - Register early to secure your spot! Email: christa@amazonworkshops.com // phone: 1-800-431-2624. Salt River Project and the Arizona Science Teachers Association (ASTA) along with the National Association of Science Teachers Association (NSTA) are pleased to offer a unique professional development opportunity this October. The authors of the highly acclaimed Picture Perfect Science Lessons will present a two-day conference in Tempe Oct. 9-10, 2018. The conference will be held in SRP’s Heritage Center at 1500 N. Mill, Tempe. Karen Ansberry and Emily Morgan have created a series of books based on the 5 E model incorporating picture books into science curriculum. . The authors will be presenting several lessons from the books and background on how the program works. This will be their first trip to the Phoenix area. SRP is proud to support partial scholarships to teachers in SRP’s Service areas and Impact areas. The Scholarship applications must be completed by September 21st. Scholarship awardees must register and pay for the workshop. After the 2 day event, ASTA/SRP will distribute the scholarship award to the district/participant. Do your students need to complete volunteer service hours? The Desert Botanical Garden is piloting a new Teen Volunteer program at our Butterfly Pavilion and would love to have your students as a part of it. Teen Volunteers must be in 7th through 12th grades and will need to attend a 2 hour orientation class before volunteering for their first shift. Orientation will be held on October 6th from 10:00am – 12:00pm at the Garden. Space is limited to 25 participants at this time. Any interested students should contact Kristen Countryman at kcountryman@dbg.org or 480-481-8134. Please click below for a flyer to share with your students.